A selection of production stills from Barnaby Rudge. Barnaby Rudge was the first of Charles Dickens’ two historical novels (the other being The Tale of Two Cities). Set during the late eighteenth century, it climaxed at the Gordon Riots of 1780. Largely forgotten today, the Gordon Riots were an anti-Catholic protest which quickly spiralled out of control. A group of between 40,000 and 60,000 protestors nursing various grievances – including the increasing Catholic influence sweeping the country, high taxes, overcrowded cities and repressive laws – ran amok on the streets of London. The riots raged on for several days until the army were eventually able to brutally restore order. But by this point some 285 people had been shot dead with several hundred more wounded. If the Gordon Riots are forgotten today, then a similar fate has befallen Barnaby Rudge. Easily Dickens’ most obscure novel, this is evidenced by the fact that this 1960 serial remains the only television adaptation. Published between February and November 1841, it came quite early in his career – which explains why it feels a little episodic and unfocused at times. Barnaby Rudge himself (played by John Wood) is a simple-minded chap, buffeted along by events rather than directly influencing them. It’s a difficult part to play – there’s no malice in Barnaby – but Wood is generally pretty effective as the easily-manipulated innocent. But whilst he may be the title character he’s not the central one – Barnaby drifts in and out of the narrative, appearing and disappearing as required. Episode one opens with a stranger (played by Nigel Arkwright) asking the local innkeeper about the nearby grand house owned by Geoffrey Haredale (Peter Williams). It’s a dark and stormy night outside – achieved via sound effects and camera trickery (simple but effective). Arthur Brough, later best known as Mr Grainger in Are You Being Served?, here plays John Willet, the innkeeper. Puffing on a long pipe he helps to tease out a strange story which much will later become significant. The mysterious murders twenty two years ago of Geoffrey’s brother, Reuben, and Reuben’s loyal servant Rudge (Barnaby’s father) are mysteries which are still debated by the locals to this day. Arkwright doesn’t offer a subtle performance, but it’s a menacing one as he brings out the simmering violence which powers his character. Joan Hickson, as Mrs Varden, also isn’t holding back, but this broad playing suits the shrewish character she plays. The remainder of the Varden household are also deftly sketched out. Head of the household, Gabriel (Newton Blick), is an affable sort who’s often to be found allied with his attractive young daughter Dolly (Jennifer Daniel) against their wife and mother. 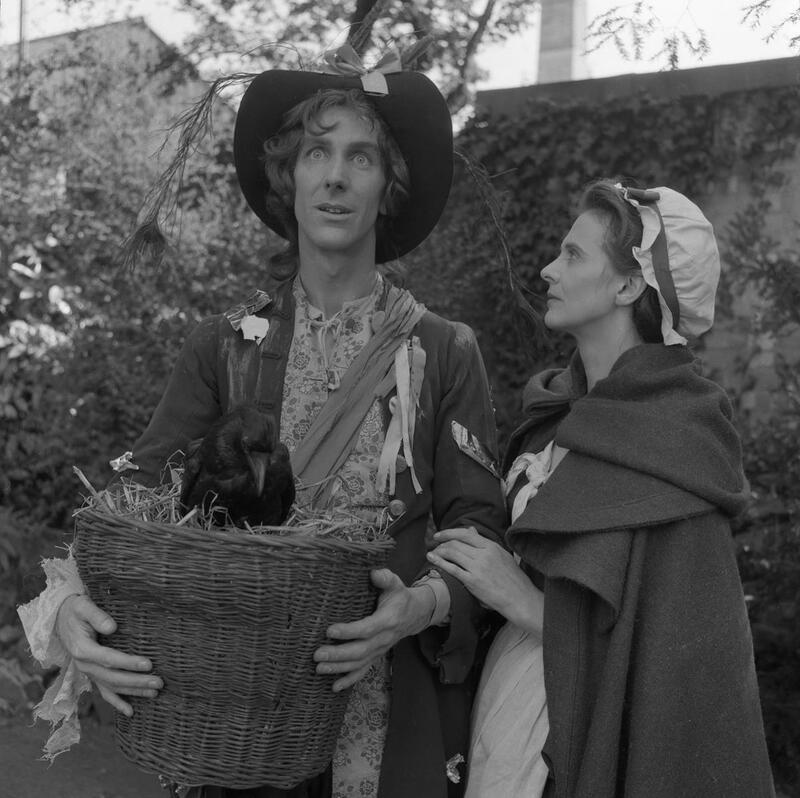 Rellgious dogma will later become the central theme of the story, although to begin with it’s teased out in a casual manner – Mrs Varden’s constant quoting from the bible or the way that John Chester (Raymond Huntley) regards Emma Haredale (Eira Heath) as an unsuitable wife for his son due to her religion – but as the serial progresses the conflict between Catholics and Protestants will become more marked. Huntley, playing to type as the austere and flinty Chester, offers a standout performance. Some others may essay broad, comic performances during the serial, but Huntley is agreeably more naturalistic. Gabriel Varden, a locksmith by trade, has an apprentice, Simon Tappertit (Timothy Bateson), who has set his cap at Dolly (although she regards him with casual indifference). As in Bleak House, Bateson delivers a lovely comic performance, although there’s a harder edge to this character. Like many others, he possesses a simmering discontent (although with him it’s not relgious concerns, instead his ire is directed towards those he regards as his wealthy oppressors). As the first half of the serial progresses, various plotlines are developed. Simon’s links with a group of dissident apprentices who meet in secret and dream of violent disobedience against their oppressive masters, the curious link between Barnaby’s mother and the mysterious stranger, Joe Willit’s (Alan Haywood) longing for the flitish Dolly and the forbidden love between Edward Chester (Bernard Brown) and Emma Haredale are all teased out. 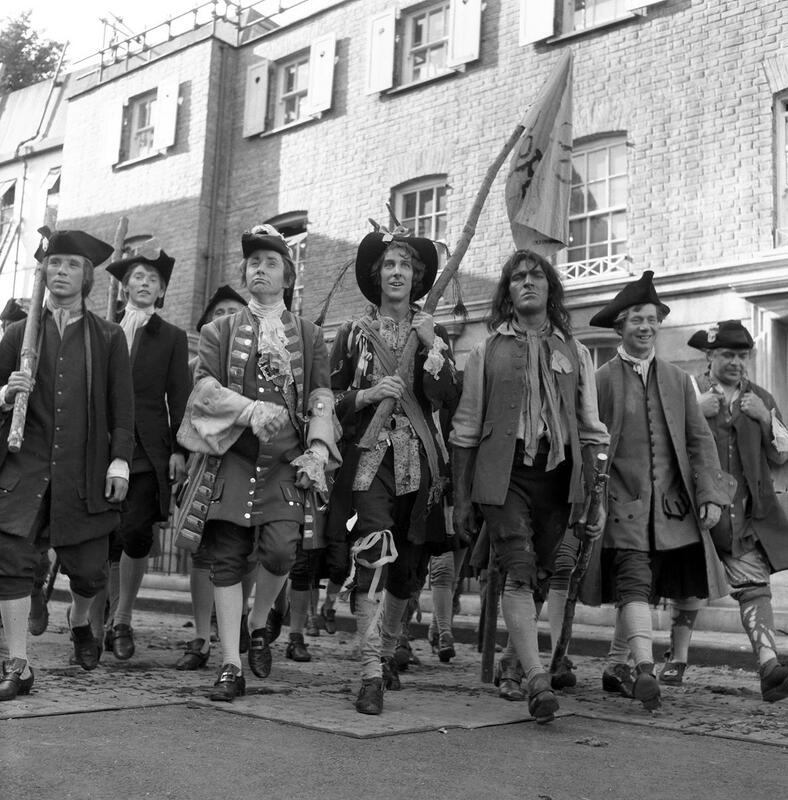 Mid way through the serial, several major new characters – such as anti-Catholic agitator Lord George Gordon (Anthony Sharp) – are introduced as we proceed on the path to the Gordon Riots. Gordon is a fanatic, whose cry of “No Popery” quickly becomes a popular sentiment amongst the masses. Geoffrey Haredale, a staunch Catholic, spells out what precisely what these two simple words could mean. “I have, tonight, seen an ignorant and unhappy people roused. They know nothing of what the repeal of the act means, but ‘No Popery’ is the cry that is going to right all their wrongs. ‘No Popery’ is the cry that is going to give them food, shelter, clothes, work and drink”. Those who cannot remember the past are condemned to repeat it ….. The production design is very sound. Real horses (never easy to control in a studio) occasionally appear and the outside of Geoffrey Haredale’s house is depicted via a painted backdrop. This is a very theatrical way of generating a sense of depth and scale, but it works. More backdrops are in evidence when the action moves to the streets of London, whilst the later episodes are also opened out thanks to a judicious use of filmed inserts. Unsurprisingly, the scale of the riots was far beyond the means of the production, but director Morris Barry marshalled his resources well. Even with the limited number of extras at his disposal, Barry was effectively able to show the ugliness of mob violence. It’s fair to say that some parts of the story work better than others. Edward and Emma’s romance never really sparks into life – not really the fault of the actors though, it’s simply that the two characters are never sharply defined. Barbara Hicks, as the Varden’s maid Miggs, gives a performance that can best be described as “broad”. It’s a typically comic Dickens character, but Hicks’ shrieking does become wearying after a while. But on the credit side there are many fine performances, most notably that of Raymond Huntley. His timing is spot-on (plus his brief interactions with Timothy Bateson and Joan Hickson are rather delightful). The introduction of Lord George Gordon is the point at which the story rapidly changes direction. This is a little jarring, but the influx of new characters does help to give the serial a fresh impetus. One notable new arrival is Esmond Knight (previously he had memorably played Silas Wegg in Our Mutual Friend) . Here he appears as Dennis the Hangman, one of a number of individuals who encapsulate the baser end of society. Like other surviving drama of this era, the source materials are telerecordings taken from the original 405 line broadcasts. The recordings may exhibit the occasional spot of damage or dirt, but overall the picture quality is more than watchable (although the concluding episode is notably poorer than the others). Although a handful of performances are less than effective and the story feels somewhat disjointed (it’s essentially two seperate tales bolted together) Barnaby Rudge is still a serial of considerable interest. The theme of the later episodes feels eerily topical, offering a sharp change of pace from the countryside intrigues of the first half. It’s another well-crafted Classic Serial which, despite its length, never outstays its welcome. Well worth adding to your collection. 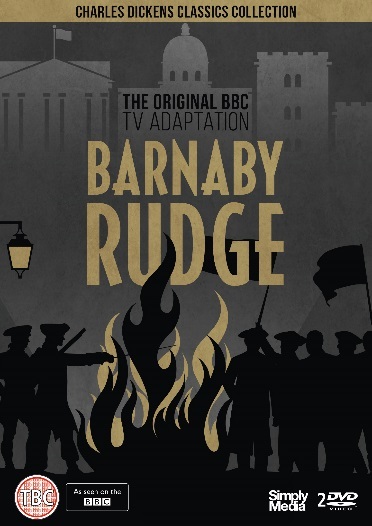 Barnaby Rudge is available now from Simply Media, RRP £19.99. It can be ordered directly from Simply here.